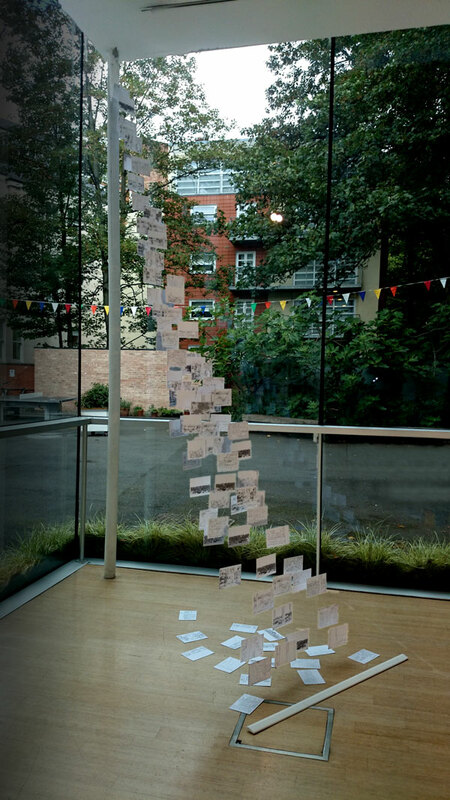 The installation explores themes of belonging and value and looks at how meaning, association and kinship are generated or derived from our environment. 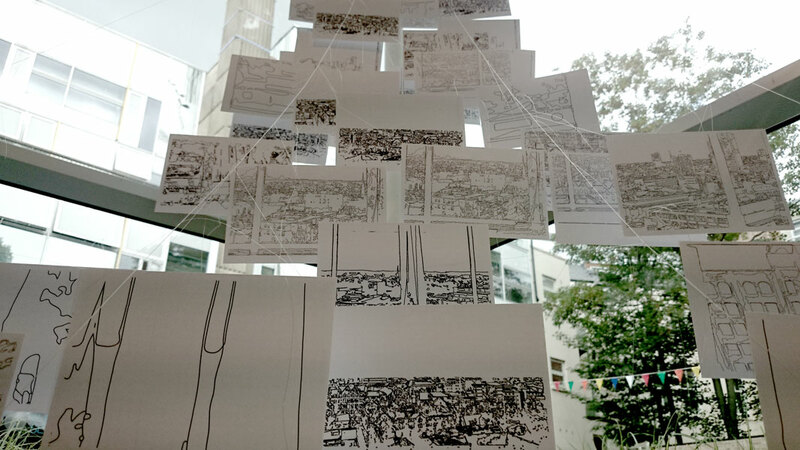 Views of Leicester taken from the twelfth floor of New Walk Centre have been reduced to linear drawings. The installation attempts to anonymise the landscape by stripping away defined markers of value, thereby creating a situation from which the viewer can re-imagine the city without distraction. 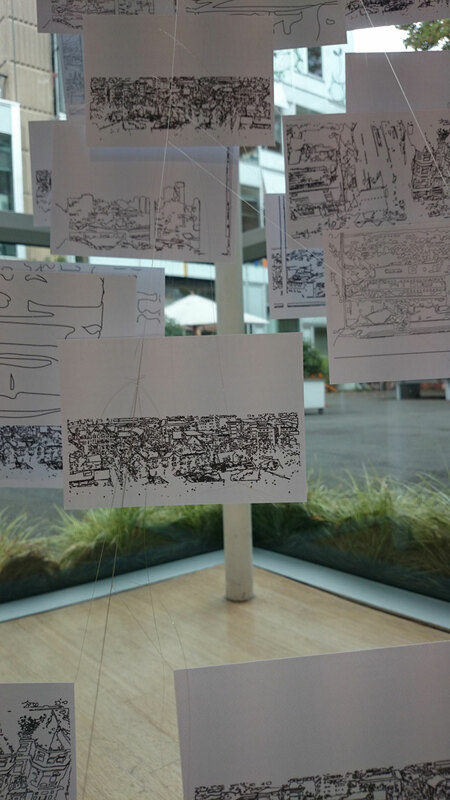 The individual linear drawings become units of value and are repeated to form a landscape. Perspective is narrowed and disrupted creating a promenade for the eye to travel along. The images were developed in close consultation with people working in the buildings being demolished.